Physiotherapy: What is it and how can it help? Here at Versatile Clinic we are all Chartered Physiotherapists who have trained to degree level. We are registered members of the Health Professions Council (HPC), Physiofirst and Acupuncture Association of Chartered Physiotherapists (AACP). 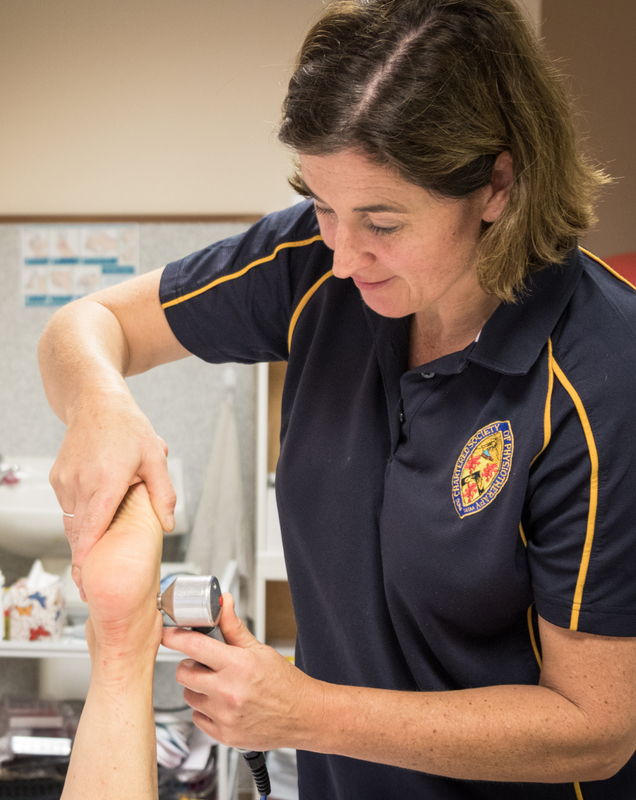 Alex is also a member of Association of Chartered Physiotherapists in Sports Medicine (ACPSM). Being active members of these organisations enables us to maintain up to date knowledge and skills and this in turn helps us help you! We have developed close professional links with some of the most highly regarded surgeons in the North West and beyond ensuring you the best possible options for your rapid recovery and return to full function. You can benefit from physiotherapy at any time in your life. Physiotherapy helps with back pain or sudden injury, managing long-term medical condition such as arthritis, and in preparing for childbirth or a sporting event. At the core is the patient’s involvement in their own care, through education, awareness, empowerment and participation in their treatment. Podiatry: Is this suitable for you? Podiatry is a specialist area of healthcare, allied to medicine which involves care and maintenance of foot and lower limb conditions. Podiatrists aim is to improve the independence, mobility and general quality of life of patients. A podiatrist can treat on a whole host of foot and foot related conditions. Biomechanics is the science that examines forces acting on the body and the effects produced. It is well recognised that a persons abnormal stance and gait can be the cause of recurrent postural problems which commonly include back, hip, knee, ankle and foot pain. Symptoms may relate to leg length differences (actual or apparent) or as high arched or flat feet. Excessive or increased wear on the heels or soles of shoes, calf/foot muscle cramps, weak ankles and toe deformities are also signs. These may be the body’s way of compensating for malalignment or as a result of the present or a previous injury. However it does not follow that this compensation is normal or acceptable, nor should the person feel or believe that nothing can be done. Early recognition of abnormal foot and lower limb biomechanics can often avoid injury and should always be considered in the prevention of injury. This also applies to children, where feet and walking problems may be corrected during growth. At the initial consultation and examination after a diagnosis is made, treatment options will be explained and advice given. If any further investigations such as X-rays, scans or tests are required then these will also be discussed. We know you want your players to be at peak performance and not injured during the season. With our expertise we can provide your club with a high standard of care. Our on-line booking system below means you can book an appointment right away.